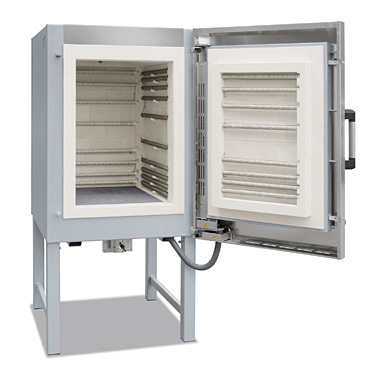 Nabertherm offers as manufacturer a wide range of kilns for ceramic firing. The maximum temperature of 1340 °C in Nabertherm chamber kilns will allow you to perform any type of ceramic firing. The firing process is digitally controlled by Nabertherm Controllers. Our user-friendly chamber kilns are easy to operate, and are available in volumes from 60 litres. Further information on Nabertherm Chamber kilns.